There is way too much on the ballot this year to stay home! 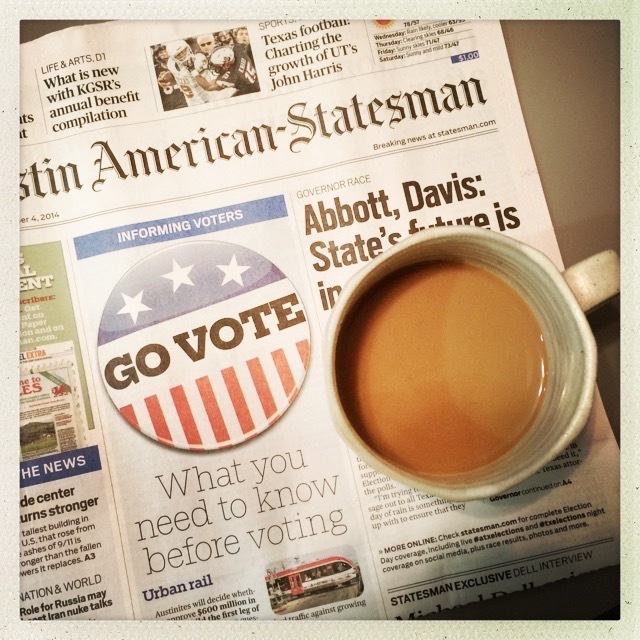 Austinites, go claim your stake in our local, state, and federal representation. It’ll be too late tomorrow and way too late in a year when all the effects of this representation start to take shape. Note sure what you’re voting for? There are links to this year’s voters guide and election coverage here. Not sure where to go vote? If you are in Austin, you can vote at any precinct! Figure out what is closest to you here.